Description: It is a small and flexible file renaming tool that offers all the standard renaming procedures, including prefixes, suffixes, replacements, case changes. It can also remove brackets, add number sequences, remove digits or symbols, change file extensions and much more. Multiple renaming actions can be combined into a rule set. 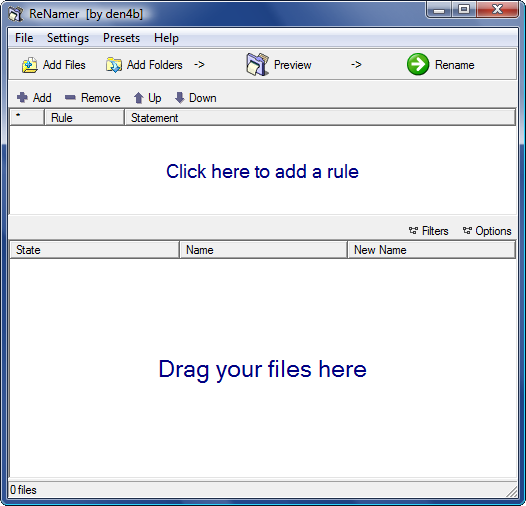 In addition, ReNamer supports meta tags such as ID3v1, ID3v2, EXIF, OLE etc.